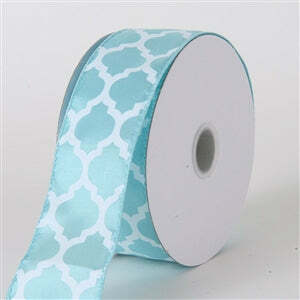 At BB crafts, we provide the finest quality satin ribbons with large lattice prints on the top. These ribbons can be used for decorating the venue for some celebration or small party at your place. BB craft is a perfect place to get hold of the finest quality fabrics, materials, and ribbons. We endow the buyers with the most attractive looking satin ribbons to adorn their dresses and party decorations in a highly artistic and modern way. The best part is that all the supplies we offer are reasonably priced. The products we provide are made with the use of best quality materials. If you want your dress to get even more embellished then, satin ribbons can do a great job to assist you for that. Satin is a perfect fabric to be used for adorning dresses and even for the other decorations for celebrations. We have thousands of happy customers across the globe as we bestow them with the finest products and services with on-time deliveries for everything they order. If you are a budget buyer, then BB craft is the best place for you.